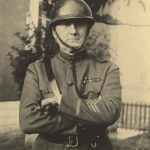 During any war the uniforms and equipment used by the military inevitably will go through changes. Certainly this was true of much of the equipment utilized by the German armed forces during WWII. These changes would include helmet liners. Between 1940 and 1945 the German M31 helmet liner would see several modifications. Many of these changes reflected the position Germany found itself in during the war. One of the early changes to the M31 liner was a modification to the chinstrap bails. The change came in early 1940. The new bails were rounded instead of chamfered. The new rounded version was almost identical to the version used at the end of WWI on the M18 liners. Initially these bails were made from aluminum but they would soon change to steel wire. There appear to be a few different reasons for the design change. The M31 liner was initially designed to accommodate the M27 chinstrap. The strap had a carbine clip on one side which would clip onto the chinstrap bail. The chamfered corners created a secure tight fit for the clip when secured. A new chinstrap came out in 1935 which eliminated the carbine clip, thus eliminating the need for chamfered bails. The other reason which probably factored in ever more greatly to the change is the older bails were made from cast aluminum. They were expensive and time consuming to make. The newer steel bails could be produced more cheaply and were not as labor intensive to manufacture. As the German war effort expanded the necessity of fast and inexpensive production would become all the more important. The second change to the liner design was the overall material. Starting in 1940 the material was switched from aluminum to zinc plated steel. The aluminum outer band on the liner tended to warp from use. This design flaw lead to the addition of strips of aluminum riveted to each side of the liner outer band near the bails. 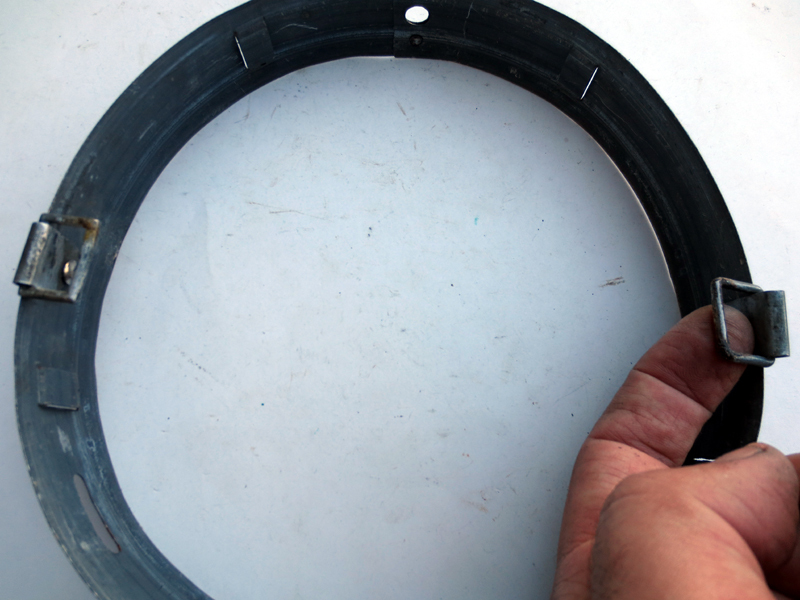 This strengthened the liner’s outer-band and fixed the warping issue. This design improvement involved more labor and material. Zinc plated steel outer band on m31 liner. Zinc plated steel is a far stronger material than aluminum and therefore the need to add the additional strips was eliminated. Steel could also be acquired cheaper than aluminum which also factored into the decision to switch materials. A third reason may have also contributed to the material switch. In 1940 the German government designated aluminum to be a strategic material, and would be needed for other more pressing war material production. Rare 1943 dated aluminum liner. Photo courtesy of Libor collection. The change from aluminum to steel did not come all at once. The liner manufactures had purchased large quantities of aluminum knowing that the need would expand just as the war did. As to not waste the material, factories would continue to use their stocks of aluminum until depleted. While some of the large manufactures of helmet liners seemed to use up their stocks of aluminum quickly others did not. 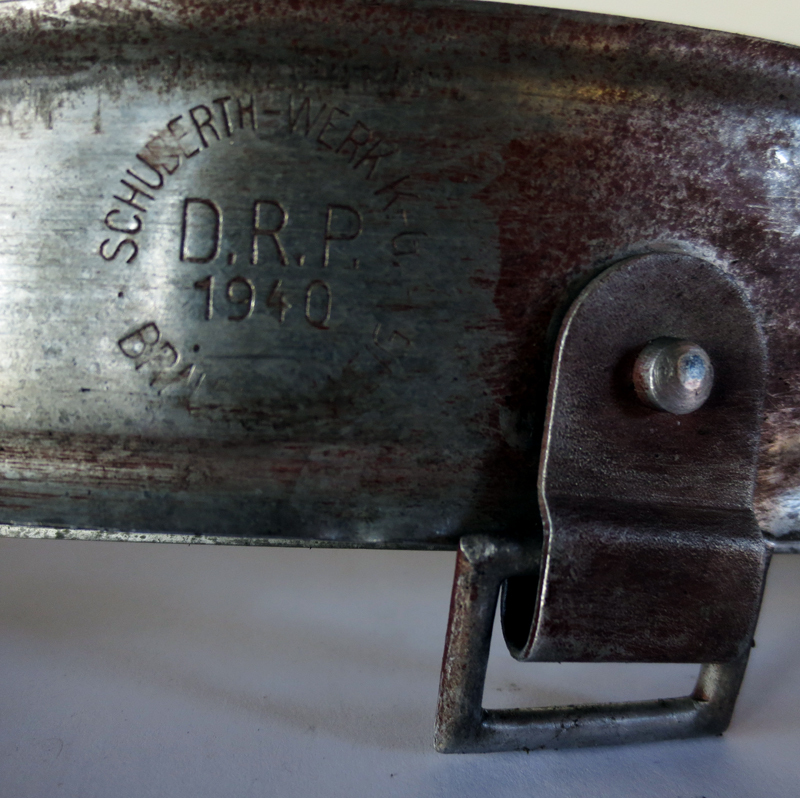 In the case of the liner maker Suberthwerke, the largest manufacture of M31 liners, liners dated 1940 from this maker are usually made from steel. Some aluminum versions are encountered though. These aluminum versions may date from the early part of 1940 before or just after the switch was ordered. While five of the six firms producing liners would completely switch to making liner from steel by 1941 at least one firm didn’t. The firm Werner Zahn of Berlin-Charlottenberg would continue to manufacture liners made from aluminum until 1943. 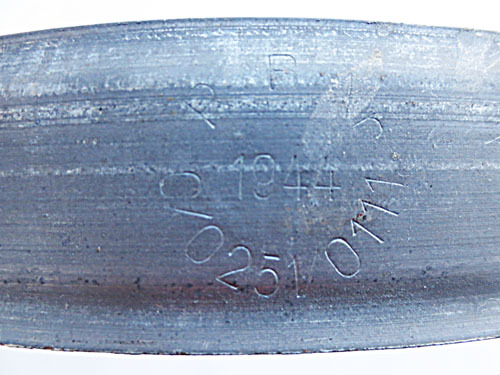 Liners made in in this period can also feature mismatched bails. 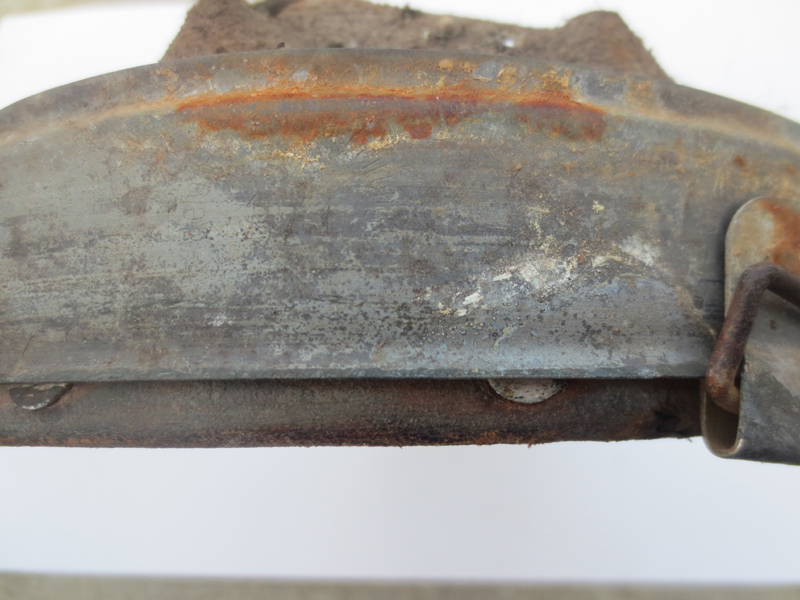 Occasionally liner dated from 1940 can be found made from steel but have the old cast aluminum chinstrap bail. In some rare cases liners are found with one bail being steel while the other is cast aluminum. These anomalies without a doubt result from the need to use up old stock. As the war continued to grind on the Germans would find new way to economize. 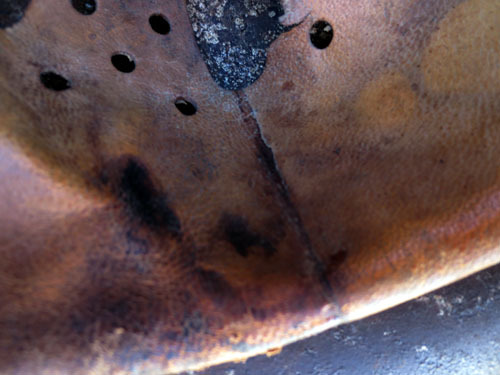 While the design of the leather head liner did not change the material used to make it would. 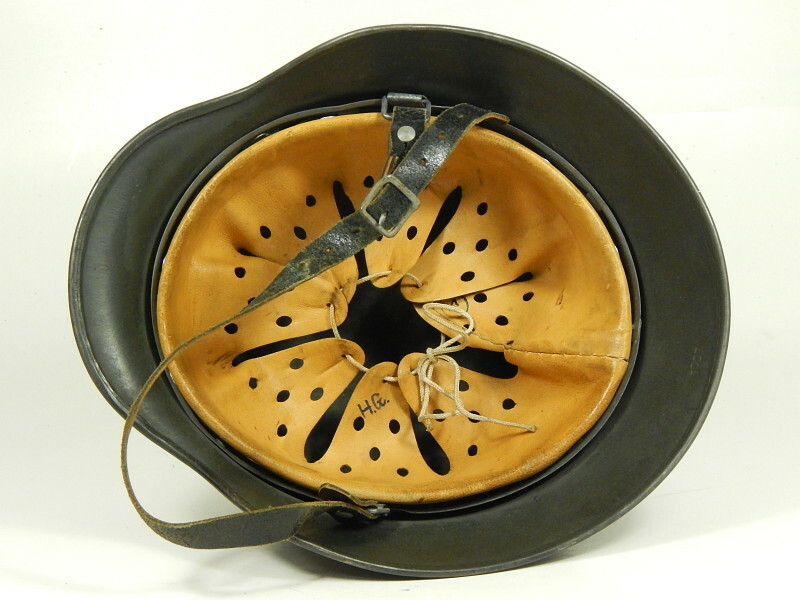 Earlier helmet liners, especially those made in the pre-war period are made from a mix of steer, goat, or sheep hide. The leather was vegetable tanned. 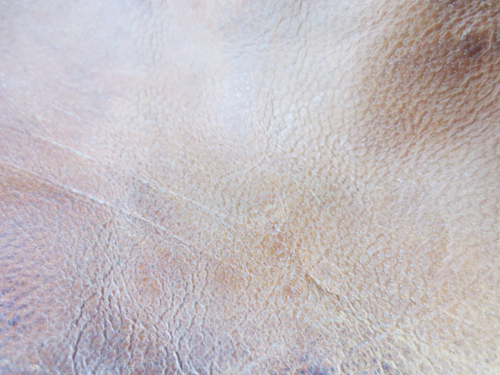 The vegetable tanning process tends to be slow, but produces a smooth soft leather which makes for a comfortable liner when worn. By 1941 the German armed forces were expanding rapidly. With the invasion of Russia and a new front developing in North Africa the demand for leather exponentially increased. Much of the German field gear at the time was made from leather, Y straps, ammo pouches, belts, boots, and e-tool covers etc. New sources of leather would need to be found for helmet liners. One option was to procure cheaper leather tanned with chromium salts. Chromium salts work fast at tanning the leather, but the final product isn’t as soft or as high quality as the vegetable tanned versions. Some manufactures started to procure pig skin for their liners. Pig skin is more coarse than goat or sheep hide and isn’t as comfortable, but with the high demand for leather, liner manufactures were left with few options. As the war demand continued to take it’s toll liner manufactures founds other ways to economize. Starting as early as 1943 liner manufacture started to laminate the end cuttings of other liners together to make a full head liner. 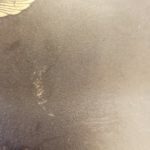 It is not uncommon to find a liner from this period to be made from two or three separate pieced of leather. 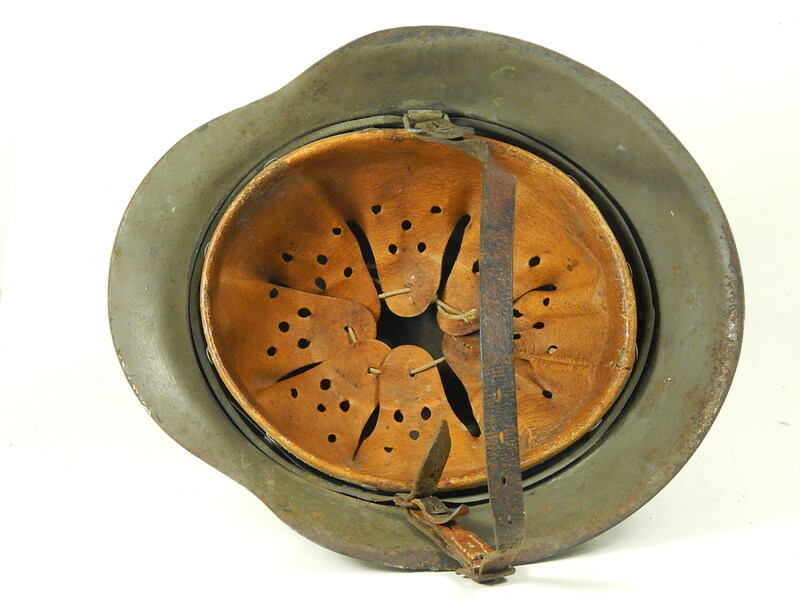 A commonly encountered German helmet liner was made by the firm Biedermann & Czarnikow. Initially this firm was based in Berlin but in 1941 they moved their operations to Łódź in occupied Poland. The move was not by chance. 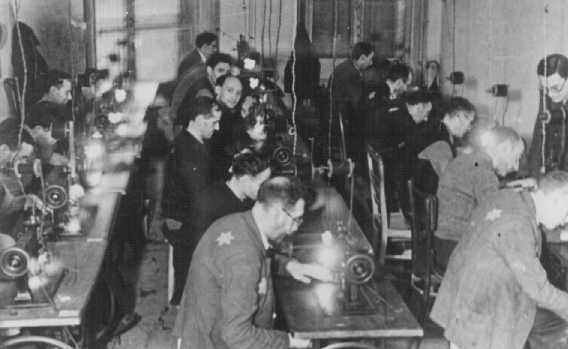 B&C joined a large number of other private manufactures who moved their operations to Łódź where the Nazi government has created the second largest ghetto in Poland. B&C would set up a factory producing helmet liners in Łódź to take advantage of the slave labor from the ghetto. Liners from this factory are marked B&C Litzmannstadt. 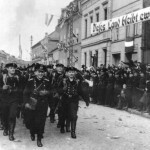 Nazi authorities renamed Łódź, Litzmannstadt in honor of the German General Karl Litzmann who had captured the city in the prior World War. 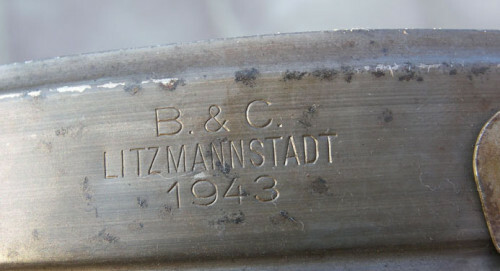 B&C Litzmannstadt manufactured liner are found dated 1942 and 1943. Only a very small number of liners are found from this maker dated 1944. 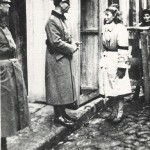 Nazi authorities ordered the residence of the ghetto deported to Auschwitz-Birkenau in June and July of 1944, where most were murdered. Any liner dated from 1944 would have been made prior to the ghetto liquidation. 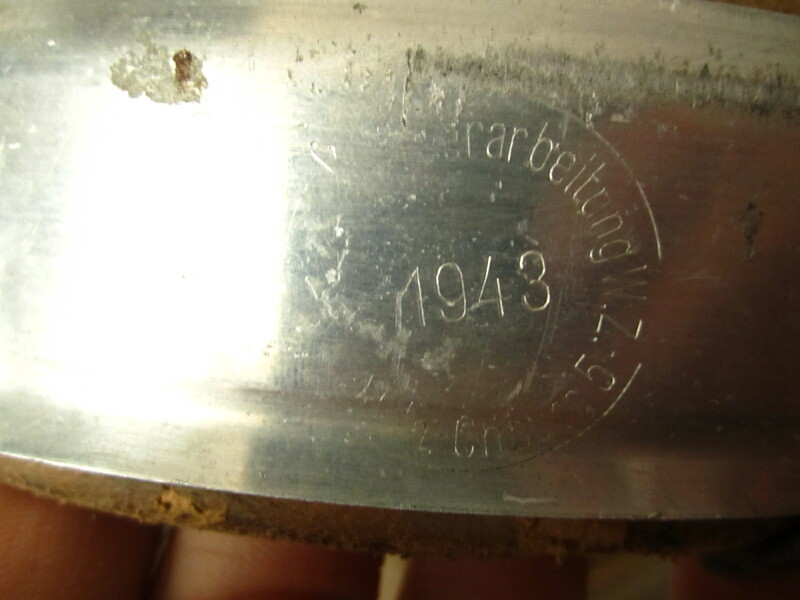 From 1937 on manufactures were required to mark the side of the helmet liner with their company name, city and the date of production. This was done for quality control purposes. Starting in 1942 a change to this policy was required. Fearing that the allies would use the manufacture’s city when specifying locations for aerial bombardment. It was deemed prudent to conceal the manufactures name and location. Instead of the name and city, both were replaced with a code assigned to them by the German government. This government contractor number is known as Reichsbetriebsnummer or RB number for short. It seems the roll out of these numbers was slow and not all liner manufactures utilized them at first. The old system of name, date and city can still be seen on liners dated as late as 1943. By 1944 however all liner manufactures had made the switch to using a RB number. A 1944 dated liner with a RB number. This particular number ties to the manufacture Werner Zahn of Berlin. Liner production did continue into 1945, but limitedly. Only a very small number of liners have been found dated 1945. This is certainly an indication of how badly German manufacturing was suffering in the last months of the war. In those desperate months as material and labor was scares a last modification was made to the liner. The new version eliminated the liner’s outer band and replaced it with three brackets which were riveted to the liner’s internal band. 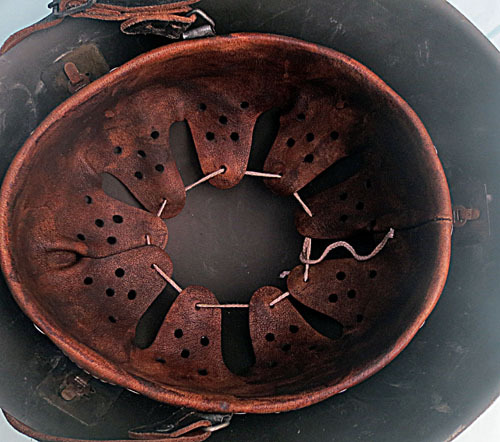 The brackets had slots to accommodate the helmet’s split pins securing the liner to the shell. These so called M45 liners are extremely rare it appears only a small number were ever produced before the end of the war. With the end of war in Europe in May of 1945 the need for helmets liner naturally ceased. The factories who produced them would turn to fabricating other products in the post-war era. Perhaps attesting to quality of the design many of these German liners would continue to be utilized by post-war European armies well into the 1970s.